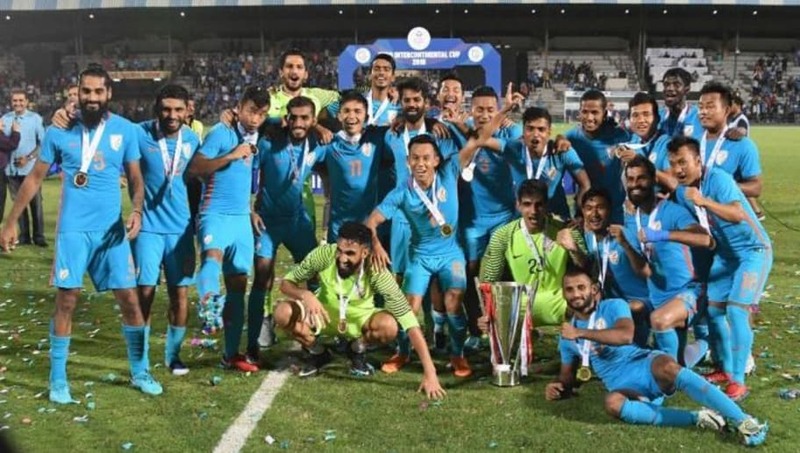 ​Indian football team coach Stephen Constantine has announced the 23-man squad for the AFC Asian Cup, trimming the number down from 28. The players who failed to make the cut from the preliminary squad are Manvir Singh, Farukh Choudhary, Lallianzuala Chhangte, Lalruatthara and Arindam Bhattacharya. However, Anas Edathodika and Pronay Halder have been selected despite their recent injury struggles. The final squad will now continue their preparations as they get ready for the Asian Cup in United Arab Emirates, scheduled to begin on January 5th. The Blue Tigers will play a friendly in preparation for the tournament against Oman on December 27 at the Bani Yas Stadium in a closed-door preparatory match to acclimatise themselves to conditions in UAE and gain match practice. India have been drawn in group A at the Asian Cup, alongside hosts UAE, Thailand and Bahrain. They will open their campaign against Thailand at the Al Nahyan stadium in Abu Dhabi.